Posted in General Health on January 10, 2012. Last modified on February 01, 2018. Read disclaimer. Obesity continues to make headlines and the news isn't good. Here's a summary of the latest findings. A recent report from the Trust for America's Health and the Robert Wood Johnson Foundation found that adult obesity increased in 6 states in 2014 - and did not decline in any state. Overall, more than 1 in 3 American adults are obese, according to the Centers for Disease Control and Prevention. And obesity doesn't recognize borders: In 1980, about 5% of men and 8% of women worldwide were obese. Fast forward three decades and the global obesity numbers have nearly doubled to 10% for men and 14% for women. Perhaps most alarming, obesity isn't just an adult epidemic. More than 10% of American children become obese by the age of 5! Think an extra serving of unhealthy food doesn't add up? Researchers at Harvard School of Public Health may disagree, after findings from three separate studies showed that slight changes in food and beverage intake were strongly linked to long-term weight gain. Researchers evaluated changes in lifestyle and weight gain every four years over 12 to 20 years of follow-up in the studies. They found that participants gained an average 3.35 pounds every four years. 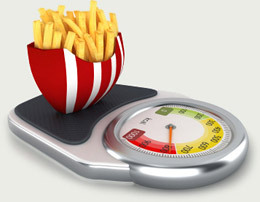 The foods associated with the highest weight gain included potato chips (for each increased daily serving, 1.69 pounds more weight gain every 4 years), potatoes (1.28 pounds), sugary beverages (1 pound), unprocessed meats (0.95 pound), and processed meats (0.93). They also found that physical activity, TV-viewing and sleep patterns affected weight gain. In particular, those who slept less than 6 hours per night or more than 8 gained more weight than those who slept 6-8 hours. Having overweight or obese friends can affect your own weight, say Harvard researchers. In fact, they found that having four obese friends doubled people's chances of becoming obese, compared to people with no obese friends. However, the reverse isn't true: having non-obese friends doesn't make it easier to lose weight. Scientists don't know what causes this phenomenon; one explanation could be that if a person is around others with unhealthy eating habits, they may pick up those same bad habits.